Lois - ZineWiki - the history and culture of zines, independent media and the small press. Lois is a musician, writer, and zine editor. Although best known as a musician, Lois put out her own zine Koo Koo in the early 1990's. A combination of text and images, the highlight of the zine was an article on women in music that had been written for Puncture Magazine in 1987 and then rejected by them. Lois also contributed to several fanzines and was featured on countless others, either in photos, interviews, or concert and recording reviews. Lois has an extensive discography of solo work, including singles and albums, and has worked with many musicians. Her first band, with Sharon Berman and Jan Brock, was Lumihoops. Her next band, The Cradle Robbers, was with Rebecca Gates. 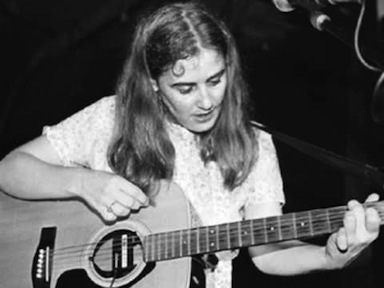 She recorded with Jeffery Kennedy as Skull and Crossbones for the Australian label Toytown during this time. Then came a band with Pat Maley called Courtney Love. After this band broke up she moved to Washington DC to begin a solo career. She was often accompanied by other musicians such as Brendan Canty, Elliot Smith, Heather Dunn, and fellow zine editors Donna Dresch and Molly Neuman. She also played with Carrie Brownstein in the band Tommy, and the band The Tentacles, also with Peter Momtchiloff. She has sung with groups such as Dub Narcotic Sound System, and Red Star Theory as well. Throughout her career Lois has been dedicated to the lo-fi, DIY world of zines, cassettes, and independent labels. This page was last modified on 28 May 2018, at 13:28. This page has been accessed 7,846 times.